From 15/12/2018 to 27/04/2019, daily between 8.30 am and 7.30 pm. From 06/07 to 31/08/2019, daily. Eric Laboureix and his team have been welcoming customers to the ELPRO group's historic Belle Plagne ski shop since1992. A 300m² shop floor awaits you, tastefully decorated in distressed wood, chandeliers and leather armchairs.. .come in and and have a look around. Who knows, you may bump into Julien Lizeroux or some other star of the French sporting scene. Over the last twenty years, we have created a loyal client base, which allows us to offer you a wide selection of products that cover all levels of ability in all kinds of winter sports. For customers seeking technical clothing, we stock Valley, Odlo, Oakley, and Colmar. For those of you with an eye for something technical but fashionable at the same time, take a look at our JOTT puffer jackets or our Sorrel après ski boots. We also stock a wide range of Salomon trail and outdoor foot wear. Check out our range of skis, starting with our old favourites Dynastar as well as market leaders such as Salomon, Rossignol, Head, Black crows, Volkl Fisher and Blizzard. Touring Skis à gogo – Dynastar, Volkl, Scott, Marker, Dynafit, Plum, Diamir, Coll Tex, and Scarpa. If it’s your feet you need to kit out, then you’ll be spoilt for choice between Salomon, Lange, Rossignol, Head, Fischer, Dalbello, Technica, Full Tilt or X-Socks. We have more than 100 different helmets on offer, and Bolle, Oakley or Cairn for sunglasses and goggles. ELPRO is also the official distributor for GoPro and ABS (Avalanche rucksacks). 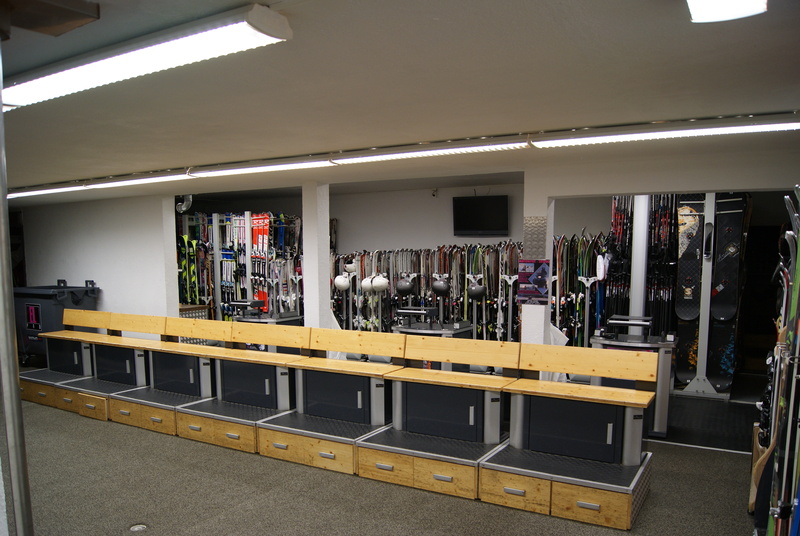 In this store, with our state-of-the-art equipment, we can cater to your every need, even for the most demanding of skiers! We have a dedicated boot fitting area in the store, where two or three specialists are on hand and foot to fit soles, inners and the actual boot itself if needed, using Fisher Vacuum and Fit Cube Conformable, both at the forefront of modern day boot fitting technology. We have over 80 snowboards from Burton. With our own on-site workshop, equipped with a range of Wintersteiger machines, our technicians can fix, wax, prepare and maintain your skis on a daily basis. 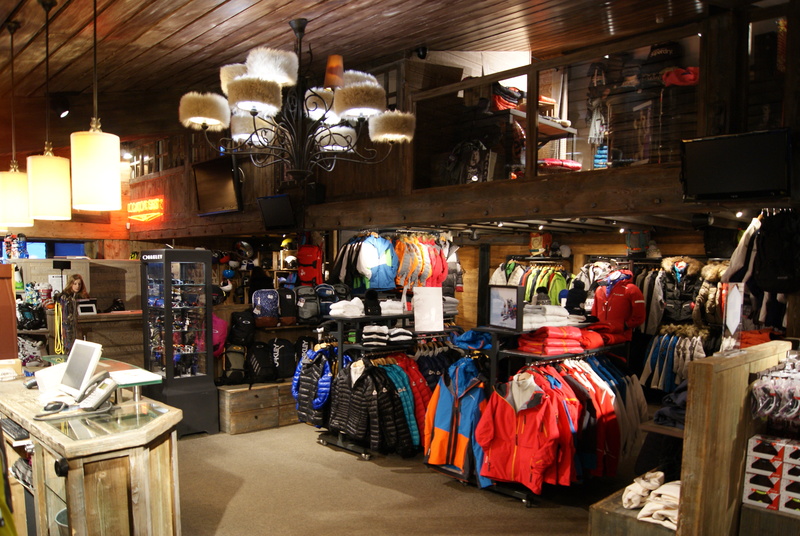 Our flagship store in Belle Plagne is home to our ski and mountain sports school office. Here you can book all your lessons, be it ski, snowboard, snowmobile, paragliding, adventure park, Tyrolean zip wire, cascade of zip wire or snow shoes. You can also book through us with the Ecole de Ski Francais, if you so wish.